Let's just get this one out of the way from the get go: the smell of this Hand & Body Lotion is absolutely divine. It is a fresh and clean fruity floral that just makes me continuously feel the need to sniff myself (either that or I'm just a tad weird). 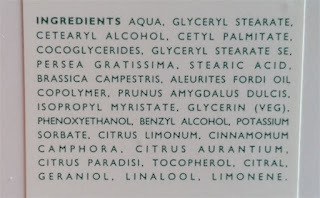 The scent works quite nicely with certain perfumes too so you can always match them to create a different, unique scent. The packaging is also worth discussing briefly too. 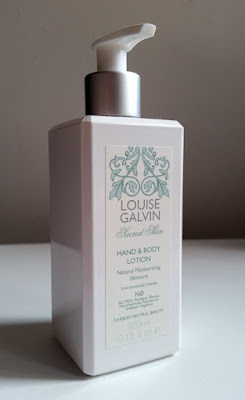 It is packaged like all other Louise Galvin products, but I think that the style of them really oozes quality and sophistication. And let's be honest, they look amazing sitting in your bathroom. Getting into the nitty gritty though, this lotion is nicely hydrating and leaves the skin feeling soft and smooth all day, but it does take a little while to fully absorb. It's the type of lotion that you, if used on your body, are going to want to use a certain amount of time before you get dressed if you are planning on wearing something like skinny jeans or leggings. If not then you may find yourself wiggling into them as they get stuck at the bottom of your legs. Please don't let that all put you off though as this Hand & Body Lotion is really amazing. A little of it goes quite a long way, I find one pump covers both arms, for example. On the hands you barely need any to cover them. I think that this is one of those products that are perfect for spring/summer. It's the smell, it's just so fitting for the warmer months, and the light yet incredible hydration has you sorted for the entire day. Overall I really love this Hand and Body Lotion. It's so quick and simple to use thanks to that pump lid (I really love pump dispensers for the speed and ease factor) and is effective too. This is definitely going to be one of those products that I use a lot during summer for sure. You can purchase the Louise Galvin Sacred Skin Hand & Body Lotion from Look Fantastic. 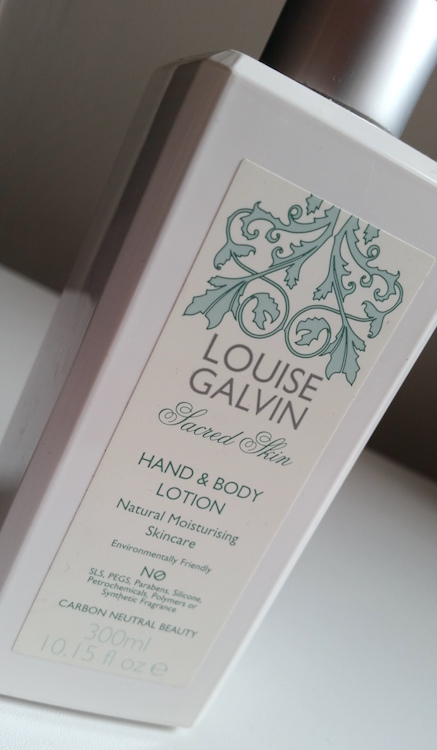 What are your thoughts on the Louise Galvin Sacred Skin Hand & Body Lotion? 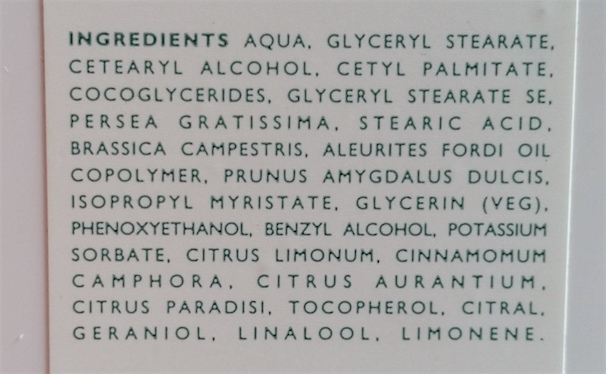 Which body lotion is your favourite?